Click the button below to add the Anti-Black Racism and Epistemic Violence (Shahid) - Paperback to your wish list. Anti-Black Racism and Epistemic Violence (2018) explores the impact of racism on the concept and production of knowledge, particularly in the lives of Black college students in the United States. Its contents are both autobiographic and creatively conceptual, as this work represents not only an analysis of anti-Black racism and epistemic violence but a response to it from students who live the metaphysical dilemma of Black conscious intelligence on a daily basis. This book is a seed planted as a result of an undergraduate course that the author created and implemented in order to give students academic space to explore the impact that recent killings of unarmed Black American citizens by police, court rulings, media activity, and acts of public protest were having on their education. This book provides strategies for counter-resistance, restoration, and healing concerning anti-black racism and epistemic violence. Kyra Shahid, Ph.D., is a diversity thought-leader and a purpose-driven educator. Her work helps college students to make connections between their calling/purpose, career aspirations, and service needed throughout the world. Kyra has delivered several keynote speeches and facilitated various dialogues and programs related to race, culture, spirituality, and leadership in higher education. Her many passions and professional experiences reflect a particular commitment to empowering marginalized youth to make their dreams a reality. 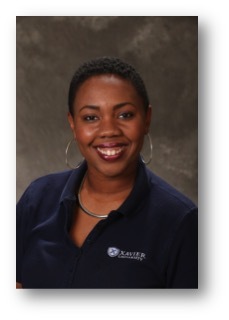 Currently, Kyra serves as Associate Director of the Center for Diversity and Inclusion at Xavier University in Cincinnati, Ohio. She is responsible for the development, delivery and assessment of programming aimed to ensure personal and social identity development as well as academic success. In her role, Dr. Shahid also provides developmental support for affinity-based student organizations such as the Black Student Association, African Student Association, Hispanic Organization and LatinX Awareness, and Ladies with an Emphasis on Achievement and Distinction. Dr. Shahid has a wealth of knowledge on leadership for diverse communities and has published book chapters and articles in addition to the use of less conventional platforms such as TEDx and spoken word engagements. Kyra earned her B.A. in Broadcast Media from Central State University, and her M.S. and Ph.D. from Miami University in Oxford, Ohio. Her dissertation examined the use of spirituality as a tool for navigating academia among Black women faculty. Kyra has a passion for developing purpose-driven leaders and has led workshops and talks on purpose and perception, race and identity, success among African American women, and much more. A quote that she lives by is, “Knowing who you are, makes who you are, worth knowing.” Kyra believes whole-heartedly that a strong sense of identity and purpose is the gateway to reconnecting with the global collective and forging love and justice between communities of difference. Kyra was recently recognized as a Rising Star Career Woman of Achievement by the YWCA of Greater Cincinnati.